Fall is coming and that makes me crave warm, comfort foods. 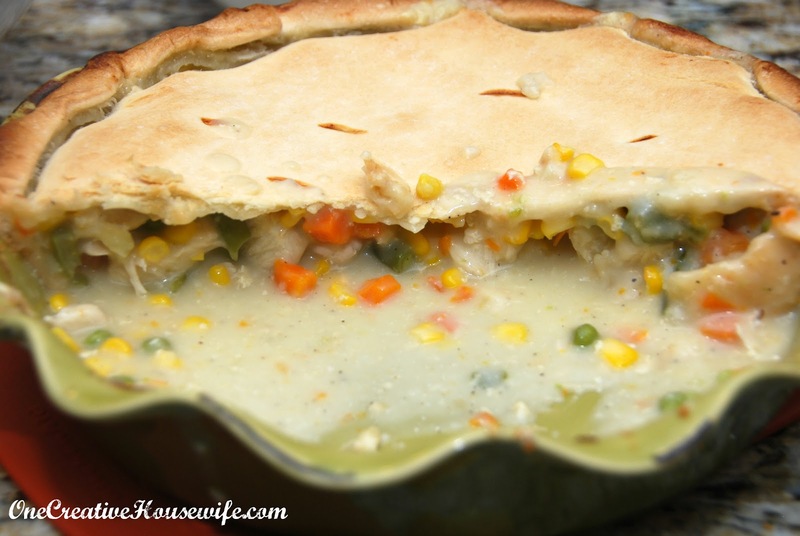 An easy favorite in this house is chicken pot pie. It is delicious, and everyone in our house eats it without any problems. 2. 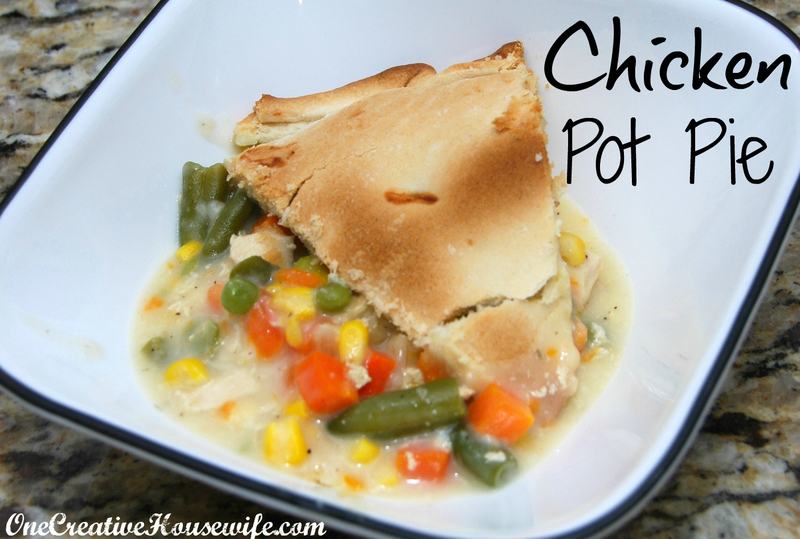 In a pot combine the chicken, frozen veggies, and chicken broth. 3. Cover and boil for about 15 minutes. 4. Remove from heat and drain the broth off into a bowl. Set aside. 5. In a saucepan over medium heat, melt butter. 6. Add onions to the saucepan and cook in the butter until soft and translucent. 7. Stir in flour, salt, pepper, and garlic powder. 8. Stir in milk and 2 1/2 cup chicken broth (from what you reserved from boiling). 9. 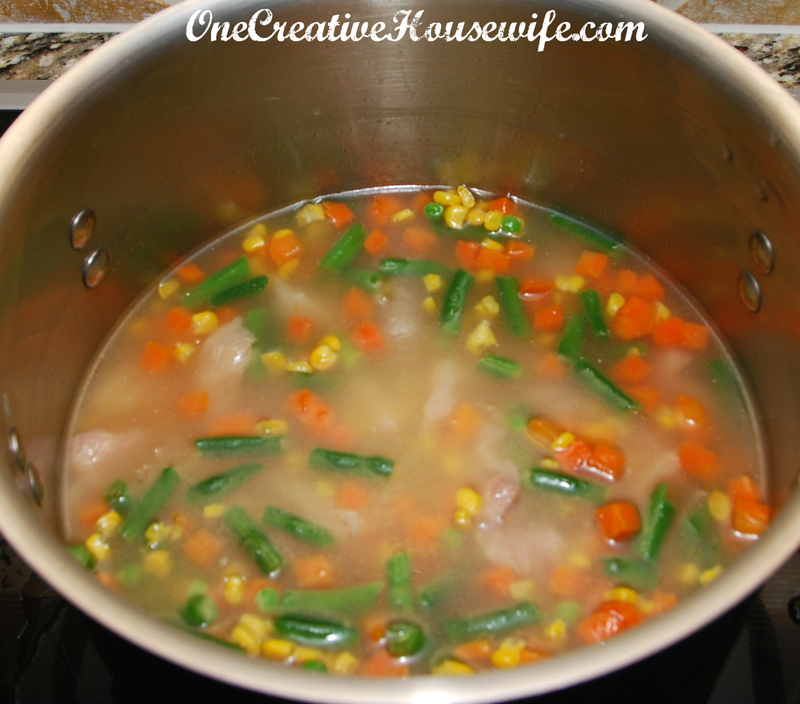 Simmer the chicken broth mixture over low-medium heat until thick. 10. Pour chicken broth mixture over the chicken and veggies. Set aside. 11. 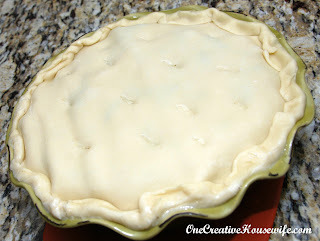 Place 1 pie crust in a pie plate, and poke it a few times with a fork. This will prevent unwanted bubbles. 12. Bake the pie crust for 5 minutes. 13. Pour chicken mixture into the slightly baked pie crust. 14. Cover with the remaining pie crust. 15. Seal the edges of the pie and remove any excess dough. 16. Make a few small slits in the top of the pie. 17. Bake in the preheated oven for 30-35 minutes, or until the pastry is golden brown. 18. Allow to cool for 10 minutes before serving. Totally love this. I've made my own chicken pot pie with random recipes or made up from my head, this really looks simple and tasty! This is seriously delicious! You have to try it! i could seriously eat the entire thing tonite!! looks so yum!